Sandos Caracol Eco Resort is located on Xcalacoco beach, just five minutes north of Playa del Carmen and surrounded by lush jungle and Maya legends. Across the city, Sandos Playacar Beach Resort is situated in the exclusive Playacar neighborhood at the southern edge of Playa del Carmen. Both resorts boast an All-Inclusive plan that allows you to take full advantage of an extensive list of amenities, bars, and restaurants… but even with so much to do at each hotel, sometimes you just wonder what our other hotels have to offer. We’re always asked this all-important question: If I’m staying at one hotel, can I visit the other for the day? And our answer is: Yes! What’s at Sandos Caracol Eco Resort? Designed for travelers who love nature and culture, this eco-resort has jungles and mangrove forests to explore, as well as incredible family activities. Here the All-Nature Experience gives you the opportunity to learn about the Riviera Maya’s natural environment and the Maya culture that resides in this region; discover ancient Maya legends on our Eco Tours during the day and through the nighttime shows in beautiful natural settings on Tuesdays, Thursdays, and Saturdays. You can also participate in endless eco-activities with the All-Nature Experience, like Maya cooking, survival techniques, snorkeling in the Cenote Cristalino, and swimming through the mangrove on the Jade River Adventure. 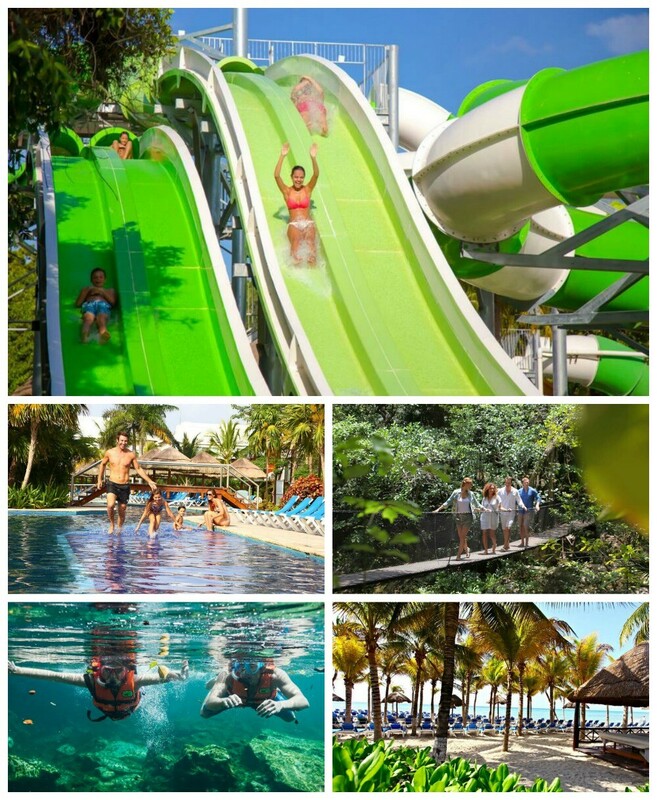 If all-out fun is what you seek at Sandos Caracol, you can also try out our famous Aqua Park! This water park has a brightly-colored area for little kids with 17 water slides, along with a variety of slides for big kids, teens, and adults. And of course, during your visit, you’ll also find everything you’d expect from a Riviera Maya beach resort: our pools, a white sand beach, water sports, a Kids’ Club, bars and restaurants. What’s at Sandos Playacar Beach Resort? It’s no secret that Sandos Playacar is the best hotel in Playa del Carmen for beach lovers. 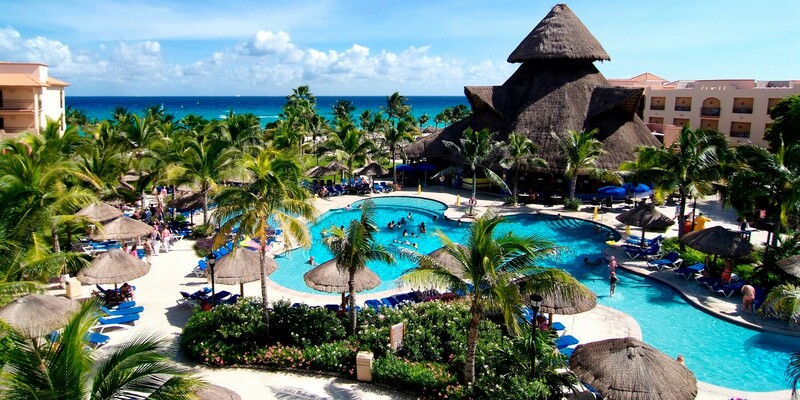 This All Inclusive Resort sits on one of the largest and most beautiful beaches in the entire Riviera Maya. With our All Playa Experience, you’ll find a themed beach party every day of the week celebrating one of the world’s top beach destinations, from Jamaica to Ibiza, with live music, dancing, contests, traditional foods and more. Sandos Playacar also features activities and fun for the whole family with miniature golf, free bike rental, and stunning pools. Kids will love the treehouse and pool at the Kids’ Club, while teens will have a blast with video games and the arcade at Lite Teen Club. And of course, you’ll want to take advantage of your day at Sandos Playacar to visit the Cupcake Café for desserts and coffees, as well as Chayita Mexican Grill with its made-to-order tacos, burritos, and salads. In the evening, we present big shows in the lovely Gran Plaza, an outdoor square with a stage, a bar, and tables under the stars. What If I’m at Sandos Cancun Lifestyle Resort? Guests staying at Sandos Cancun also have All Inclusive access to Sandos Caracol and Sandos Playacar! 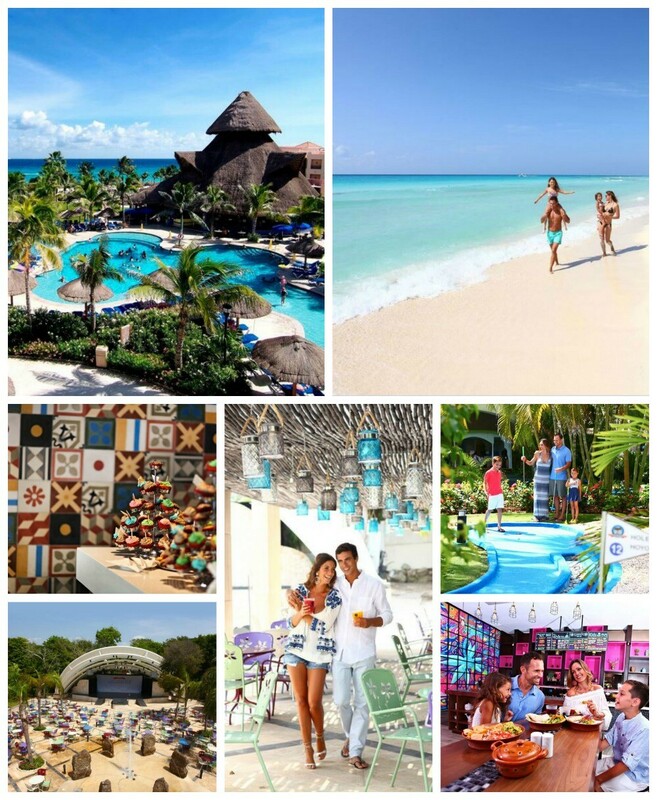 However, guests at Sandos Caracol and Sandos Playacar must pay a day pass upgrade to visit our Cancun resort. How Can I Visit the Other Hotel? It’s so easy! All you have to do is let the reception desk know that you’re going to visit the other hotel. With so much to see, do and enjoy at our Playa del Carmen resorts, we know you’ll want to take full advantage of your vacation to see both properties, and we’re happy to welcome you. Hope to see you soon here in the heart of the Riviera Maya!